La Dolce Vita facial treatments can improve skin texture, tone and overall appearance. Begin your regimen today. Explore our menu of skin enhancements and treat your skin to extra conditioning by adding any of the following options. Our signature spa facial to cleanse, refine and re-hydrate any skin type. neck and shoulders or feet, deep pore cleansing, and personalized mask therapy. Aromatic essences are used throughout to balance and revitalize the skin. An extraordinary facial using a diamond tip wand to polish the skin. Ideal for fine lines and wrinkles, enlarged pores, acne scars and discoloration or pigment change due to sun exposure. This intense buffing removes dead tissue gently from the epidermis layer and stimulates the production of elastin and collagen. 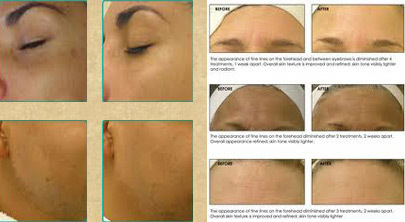 We recommend a series of six or more treatments, 14-21 days apart as well as an at home regimen. The results are instant! A revitalizing treatment to restore what the skin has lost through time. This facial oxygenates the skin with a warm vapor, plumping up surface cells to smooth fine lines, leaving the skin with a fresh, rosy glow. This treatment improves the appearance of fine lines, wrinkles, congested and enlarged pores, oily and acne-prone skin, hyperpigmentation and brown spots. HydraFacial is a hydradermabrasion procedure that combines cleansing, exfoliation, extraction, hydration and antioxidant protection simultaneously, resulting in clearer, more porcelain-like skin. This non-laser skin resurfacing improves the appearance of fine lines, wrinkles, congested and enlarged pores, oily and acne-prone skin, hyperpigmentation and brown spots. What makes the HydraFacial treatment so superior to other skin resurfacing procedures is that it's soothing, non-invasive and offers no discomfort or downtime following the procedure. The results are quite impressive and our clients will be thrilled with their more youthful appearance. The HydraFacial treatment is suitable for most skin types, including thin or aging skin, ethnic skin, and dry or oily skin. HydraFacial treatments help slow down your skin's aging process with results lasting up to four weeks.